Although less than 20% of the U.S. population lives in rural areas, about 55% of traffic fatalities in the United States occurred there in 2010. Many of these rural motor vehicle fatalities were on two-lane roads. An older study based on 2003 data revealed that two-lane primary roads in Virginia accounted for almost half of all traffic fatalities in the Commonwealth. However, only approximately 1/3 of the estimated miles driven on Virginia roadways in 2003 were on two-lane primary roads. Serious accidents on two-lane roads occur for a variety of reasons, including driver inattention, excessive speed (particularly around curves), and illegal passing. Driver mistakes or miscalculations are magnified on two-lane roads, as the margin for error is often very small due to the narrowness of the paved road and of the shoulders. The Virginia Supreme Court has clarified the broad effect of this statute prohibiting driving across double solid lines in overtaking and passing another vehicle, stating “It is not to be doubted that driving across solid double lines in overtaking and passing a vehicle is a violation of the law.” In a surprising case decided by the Virginia Court of Appeals in 1997, a police officer’s conviction for reckless driving was upheld when he drove to the left of a double solid line with lights and sirens on to pass another vehicle while in pursuit of a law violator. The Court stated that “Except as provided by statute [where a police officer] in a lawful and legitimate hot pursuit, [has] a reason to believe that the operation of a vehicle endangers life or property or reason to believe that the continued operation would endanger the occupants of the vehicle pursued there is no legitimate basis to hold a traffic law enforcement officer to a diminished standard of care that would in any way be different from what we would require of our ordinary citizens.”  This decision emphasizes that the prohibition on driving to the left of a double solid line is quite strict in Virginia. For example, a driver who lawfully begins to pass a slower moving vehicle in a passing zone on a two lane road in Virginia must complete the maneuver and return to the right-hand side of the road before the double solid line resumes. Failure to return to the correct side of the road before the termination of the passing zone is against the law. In one Virginia case that involved passing on a two-lane road, the defendant driver began to pass a slower moving vehicle in a passing zone but failed to complete the maneuver and return to the right side of the highway before the passing zone ended and double solid lines resumed. A third vehicle came around a curve and struck the defendant driver’s vehicle head-on, killing a passenger in the defendant’s vehicle. Passing another vehicle on a two-lane road can be dangerous even when it is undertaken lawfully and carefully. Illegally passing a slower moving vehicle on a double solid line on a two-lane road can result in a traffic citation, or worse, a head-on collision resulting in serious injury or fatality. Therefore, when driving in Virginia, do not pass a slower moving vehicle by crossing a double solid line. Wait until you have a dashed line to pass a slower moving vehicle. About the Author: Scott Fitzgerald is Richmond, VA personal injury attorney with personal injury law firm of Allen, Allen, Allen & Allen. 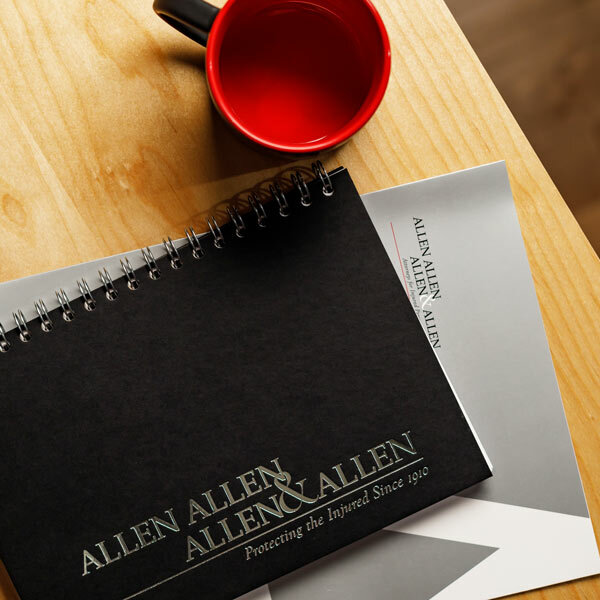 This article is brought to you by Allen & Allen attorneys who have been representing injured Virginians for over 100 years. Their Richmond car crash lawyers have experience helping adults and children injured in car crashes that were caused by someone else. The initial consultation to find out if you have a case is always free. See Va. Code § 46.2-804, at http://leg1.state.va.us/cgi-bin/legp504.exe?000+cod+46.2-804. See Commonwealth ex rel. Joyner v. Willis, 194 Va. 210, 217 (1952) at http://www.leagle.com/decision/195234172SE2d269_1335. See Phillips v. Commonwealth, 25 Va. App. 144, 154, 487 S.E.2d 235 (1997), at http://www.leagle.com/decision/1997722487SE2d235_1712. SeeHowell v. Cahoon, 236 Va. 3, 372 S.E.2d 363 (1988), at http://www.leagle.com/decision/1988735372SE2d363_2712.